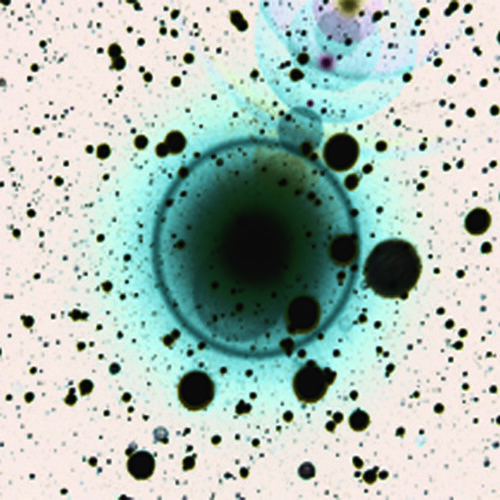 Cover art from the Zero 7 EP, Simple Science, out now. The other day I saw a double-decker-bus-sized ad celebrating the 20th anniversary of the Baby G watch and I thought: the ’90s are truly back. Pop culture has been flirting with a ’90s revival since last year, celebrating all things flannel and scrunchie, grunge and hip-hop. So in the middle of renewed interest in Nine Inch Nails, Soundgarden, TLC, En Vogue (yes!) and Smashmouth (no! ), let’s not forget what other kind of music that decade brought us – trip hop. Or as I like to call it: music for American grown-ups who still want to think they’re cool because they listen to British stuff. Trip hop was alternative without being too loud, fashion-forward and fresh yet welcoming to, ahem, mature listeners. You could take drugs to it late at night or you could play it while hosting a civilized Sunday brunch. Along with the slightly funkier acid jazz, trip hop was the go-to sound for urbanites who wanted a little edge but still needed to get to work in the morning. Part of the mellow underground for people such as myself who liked discovering new electronica music but didn’t have the stamina or the stomach for monotonous 10-hour raves. One of my favorite trip hop bands is Zero 7, which is two guys – Henry Binns and Sam Hardaker – who started as sound engineers. Like a lot of trip hop producer-collectives, they use guest singers when they need vocals, so you get a variety of voices on their albums, both male (Jose Gonzalez) and female (Sophie Barker and Sia Furler). Zero 7 formed in the late ’90s but really made their mark in the early ’00s with albums like Simple Things and The Garden. They’re still making super smooth music and have just released a new EP – Simple Science. Here’s a playlist of some of my favorites from them. In the 90s, I spent three years in Los Angeles while attending grad school, and I was lucky enough to hear about local, non-profit radio station, KCRW, while I lived there. One of their nighttime shows, Metropolis, was like Valhalla for trip hop fans. Massive Attack, Portishead, Sneaker Pimps, Tricky, Cibo Matto – they were all regulars on host Jason Bentley’s turntable. I used to listen to KCRW late at night while driving the streets of LA after evening classes. Metropolis and trip hop felt like the soundtrack to my mid-20s as I ‘made my way’ in the city. When I was still frivolous but full of adult ambition. Only a couple of years away from marriage and kids but young enough to indulge in the self-absorbed creation of future me. Now I catch KCRW online, where I can listen to Jason Bentley’s morning show on demand. My life has changed dramatically since the ’90s, but KCRW’s music is still the same, still amazing.